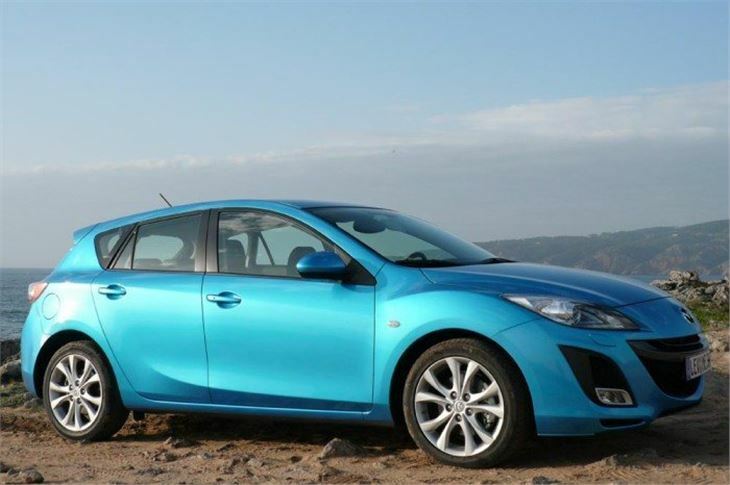 Development of the Mazda 3 and the Ford Focus has always gone hand in glove. They share engines, suspension and steering, though not mutually inclusively. Sometimes Ford has been ahead with one component. Sometimes Mazda. What can’t be denied is that both cars have been steadily improved. 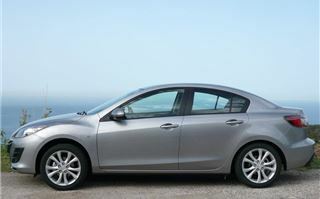 And now, for the new Mazda 3, it’s Mazda’s turn to be first with the upgraded suspension. Upfront, the mounting span is increased by 20mm, a stronger crossmember tower has been introduced, the cross arm made thicker and the crossmember bushing optimised for better lateral rigidity. Round the back the multilink ‘control blade’ suspension has acquired a stronger centre member. 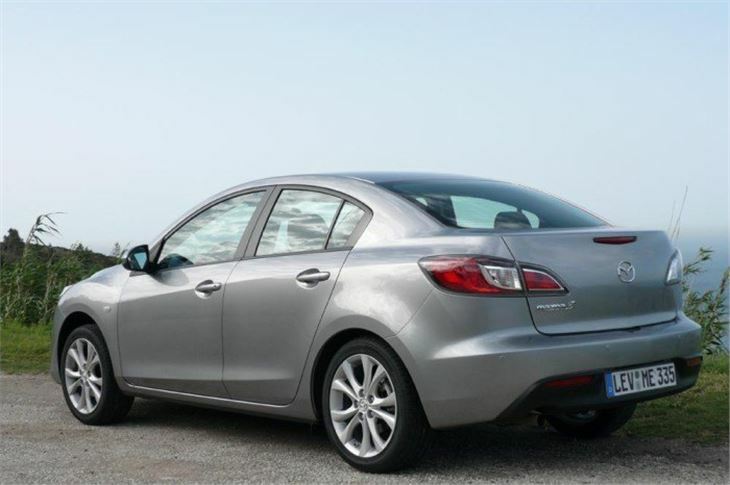 The result is a car that not only rides better, but also steers and handles better than it did before. Better, even, than my Focus III ECOnetic, which I reckon previously set the standard. 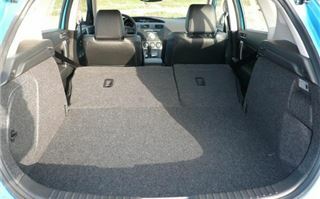 And vastly better than the Golf Mk IV, particularly in the steering department. 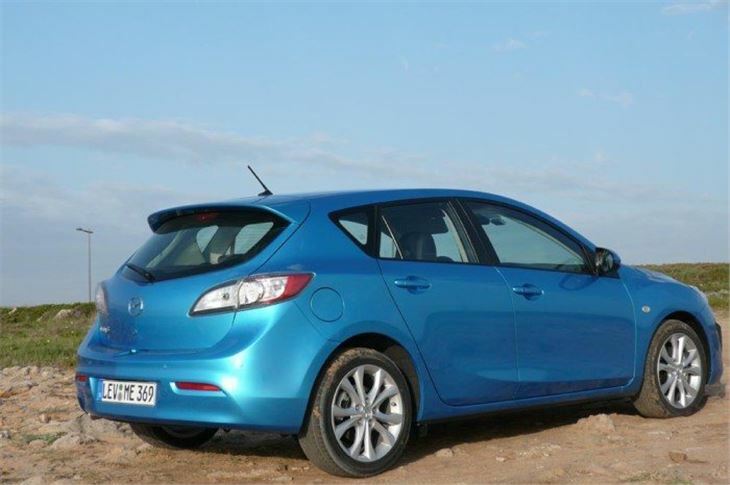 Mazda talked a lot about styling, and while you may have your own opinion about the smiley new front, I think most eyes will be pleased with the profile of the hatch, the rear end of which remains unmistakably Mazda 3. The slightly more rigid, more aerodynamic saloon isn’t quite as rumptious, but it’s fine in profile. Inside, the cars get a nice new upmarket dash with the option of low priced SD card line-of-sight satnav that means the driver never has to refocus to use it. All controls are clear and intuitive to use. 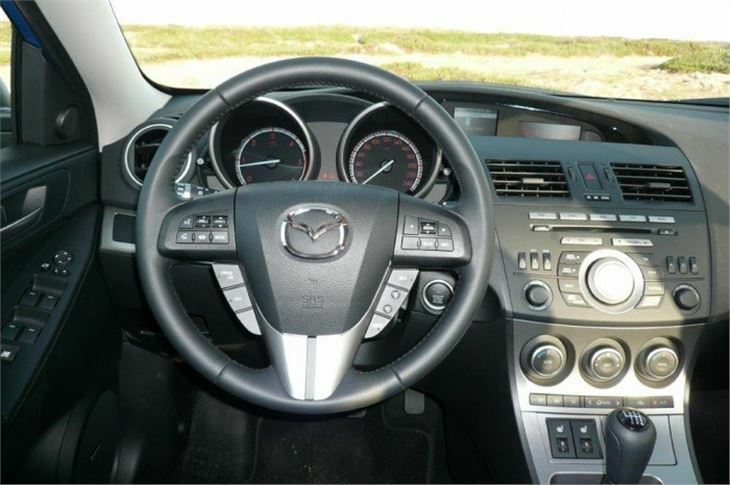 Seats are comfortable and multi-adjustable, retaining, in the lower priced models, Mazda’s knurled knob for the driver’s backrest and quick release lever for the passenger. 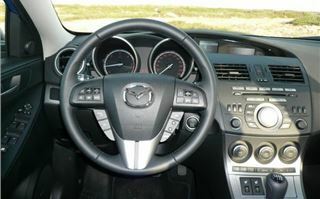 The steering wheel adjusts in and out as well as up and down over a wide range. 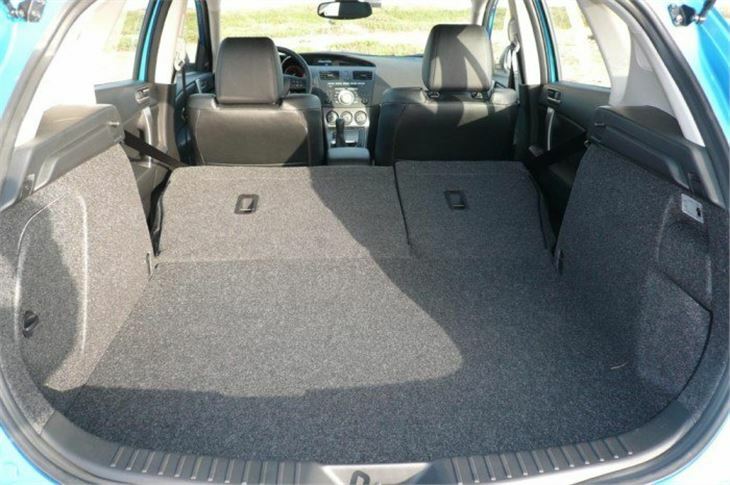 Rear seat backrests of both hatchbacks and saloons fold 60/40 to increase luggage capacity. But while I was adding interior dimensions to this test, using my 2006 of the old Mazda 3 as pro forma, I noticed that head and legroom inside the new car is slightly less. 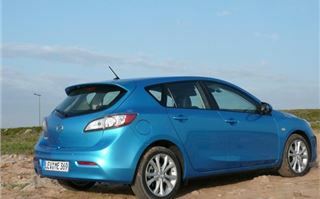 Out on the road, the base model 105PS petrol with 5-speed manual is a delight to drive. It’s comfortable, rides well, grips firmly, feeds back what’s going on to the driver and generally puts a smile on your face within the limitations of a 105PS petrol engine. The 109PS diesel, now usefully 119g/km, has a lot more torque, so is both gutsier and more economical. It’s the same belt cam Ford/PSA engine as my Focus that is now getting under the bonnets of all sorts of cars, including even the big Volvo S80. The sportiest car on our launch was the 185PS 2.2 diesel, the same new diesel engine as in the Mazda 6, but now with a different diesel particulate filter. 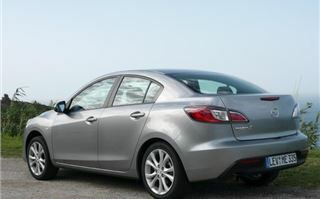 It’s worth pointing out that all Mazda engines in the Mazda 3 are chain cam. Only the Ford/PSA 1.6 diesel is belt. 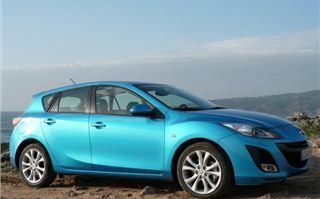 My fellow driver reckoned the Mazda 3 2.2 185 diesel wasn’t as lively as his 163PS BMW 120d. 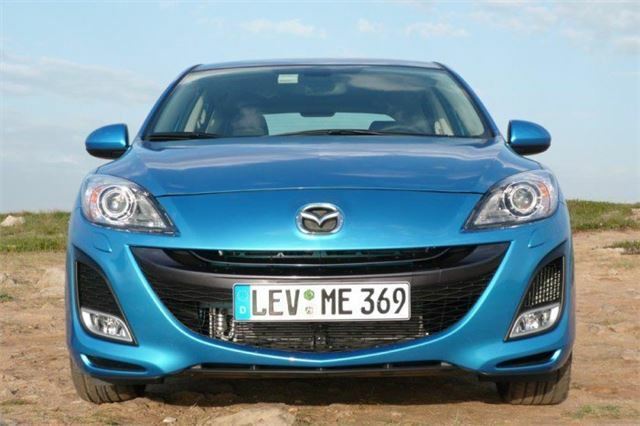 But the reason for that may have been that the Mazda only had 600 kilometres on it, so was still running tight. Once it loosened up, it should easily be capable of the published 7.9 seconds to 60, 135mph, yet still 149g/km CO2 and possibly around 50mpg. 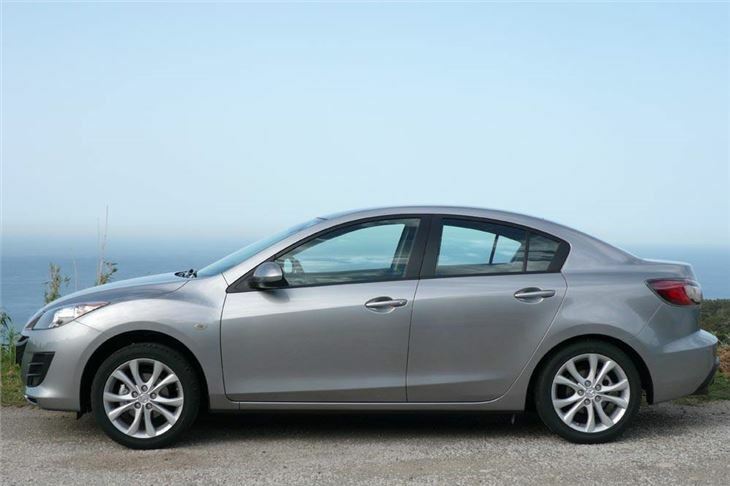 Mazda sold half a million of the old Mazda 3 in Europe, 63,000 in the UK alone, so it’s a volume seller that doesn’t sell so much as to become commonplace. It’s a much more stylish alternative to a Focus, with all the virtues of a Focus, and, providing Sterling and the Euro do not fall any further against the Yen, it’s better value than a Golf or an Audi 3 and, to my mind at least, carries more status than a Leon. It tells people you care about the way your car looks, you haven’t been caught up in the Golf/A3 status syndrome, and that you appreciate a car that drives properly.